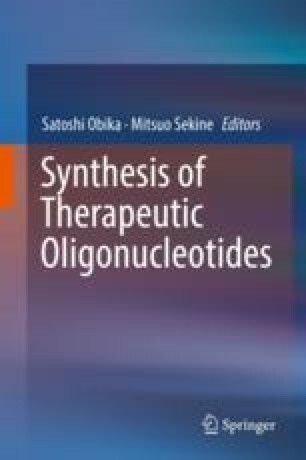 Boranophosphate deoxyribonucleotides, in which a non-bridging oxygen atom of each phosphodiester internucleotidic linkage is replaced by a BH3 group, are useful as therapeutic agents owing to affinity for complementary RNA, nuclease resistance, RNase H activity, efficient cellular uptake, and potency for gene suppression. Over past two decades, chemists have tried to develop an efficient method for the chemical synthesis of boranophosphate deoxyribonucleotides. In this review, recent studies on the synthesis of boranophosphate deoxyribonucleotides are focused.